Rhubarb is something that grows strong in the garden all spring & summer long. In fact, it's the first perennial up in the spring & one of the last things to fade in the fall. I get so much from my four plants, I usually use it all to make jam in the fall. This summer, I wanted to challenge myself to use some of the vast quantities of rhubarb that I get from the garden & make some other recipes with it. This is the first one that I made this summer & let me tell you. Go. Make. These. Muffins. 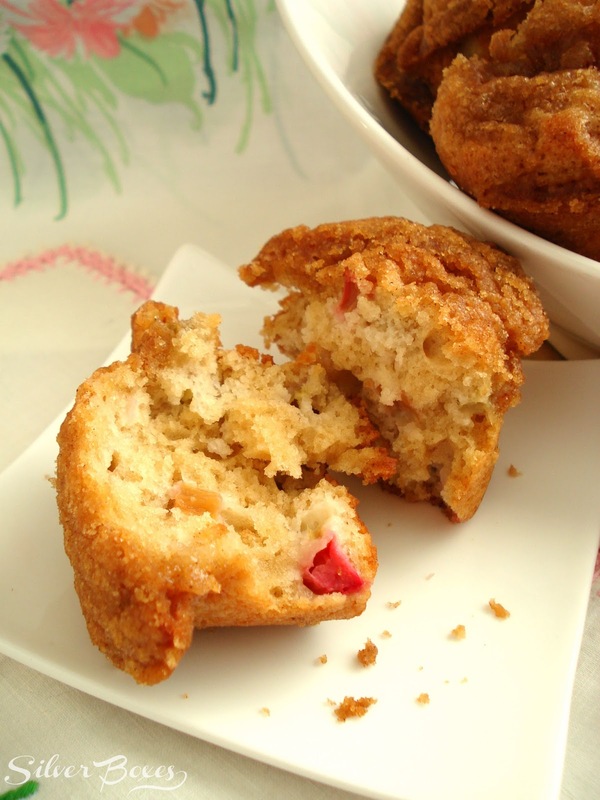 The sweetness of the sugar cinnamon topping paired with the sourness of the rhubarb is such a wonderful combination! Blend together sour cream, oil & egg. Set aside. In another bowl, stir remaining ingredients together & combine with sour cream mixture. Mix just until moistened. Fill muffins cups 2/3 full. Combine all ingredients & spoon onto each muffin. Bake for 25-30 minutes. Oh these sound so yummy! I need to get some rhubarb out of the freezer and make some. Visiting from Dream to Reality at DIY Dreamer. Have a lovely week! I just bought more rhubarb today at a farmers market. These look awfully tempting! 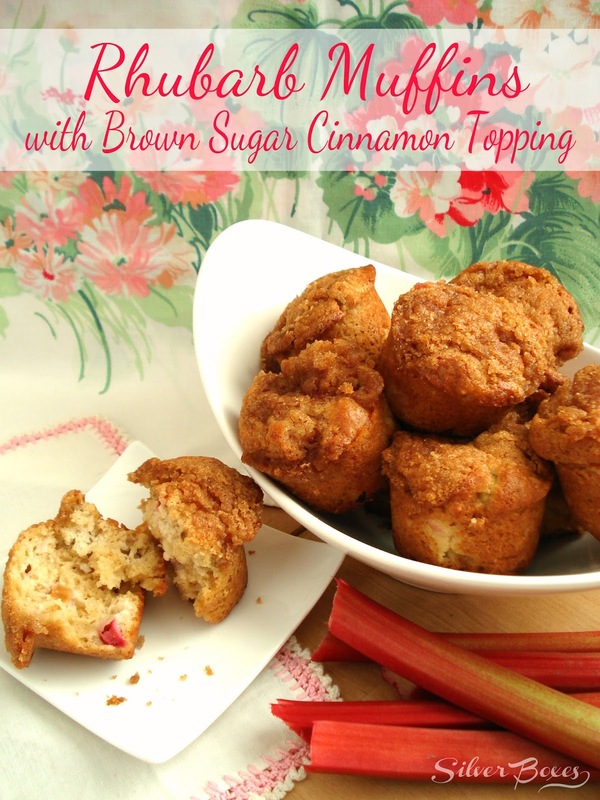 I love a good muffin & these sound so fun with the rhubarb! Thanks for sharing at Sweet & Savory Saturdays #29.